In the world of open-source search engines, Elasticsearch is certainly one of the most popular and powerful. The Elastic stack—Elasticsearch, Kibana, Beats and Logstash—offers search, log analysis and visualization for search, logging, security, metrics and analytics. 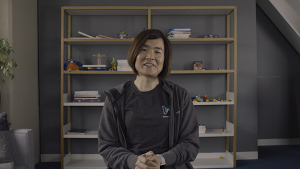 Today we’re announcing a new partnership with Elastic to bring managed support of its open source search and analytics platform to Google Cloud Platform (GCP), bringing joint customers high-performance global network and scale, increased security and privacy, data analytics and machine learning and the tools needed to build today’s modern applications. Openness is a key pillar of our partner philosophy and a driving force across Google. Embracing partnerships and working collaboratively with best-of-breed open source technology allows us to offer our customers choice and flexibility. We want GCP to be the best place to collaborate and solve problems using open source technologies. With managed Elastic Cloud on GCP, developers get a hosted and managed Elasticsearch and Kibana offering, the latest versions of Elastic’s software, commercial features, including increased security, alerting, monitoring, graph and reporting, and support from Elastic engineers. This service will allow customers to more easily deploy, manage and scale Elasticsearch on GCP based on their specific needs. Elastic’s solutions power web, mobile and application search and analytics experiences for some of the world’s biggest brands, and developers have downloaded Elastic’s products more than 100 million times since 2012. Elastic and GCP-shared customers include eBay, The New York Times, Verizon and Quizlet. 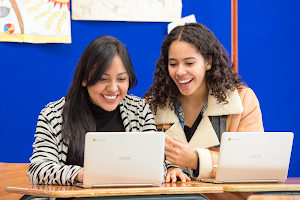 For example, Quizlet, a leading online studying tool, moved to GCP in 2015 for our technology solutions, including Google Compute Engine, Google BigQuery and Google Cloud Storage. It uses Elasticsearch to index and query more than 4 billion terms with millisecond response time to help its 20 million users find and create online education content. In addition to our work with partners like Elastic, we continue to invest in search for the enterprise, most recently with the introduction of Google Cloud Search, which harnesses machine intelligence to help businesses search internal information across G Suite. With the Elastic partnership in place, we’re kicking off our joint engineering work and will start rolling out managed Elasticsearch on GCP later this year. Elastic Cloud on GCP is now generally available in four regions: U.S. West (Oregon), U.S. Central (Iowa), Europe (Belgium), and Europe (Frankfurt). Sign up for your Elastic Cloud on GCP free trial now!